Procrastination-breaking is the order of the month here at Lab 47b as I finally managed to finish up the first part of my embedded projects development mise en place: the computery and development environment bit. 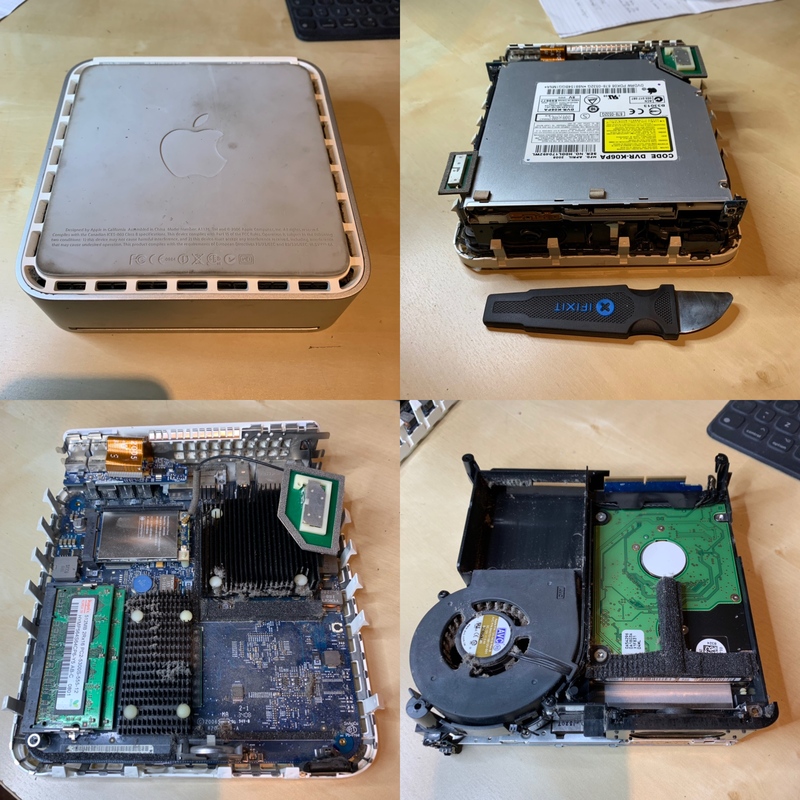 With 2x elderly and half-bollixed laptops (MacBook1,1 / MacBookPro2,2) and an elderly and 1x half-bollixed Mac Mini (MacMini2,1) to hand I crafted 2x gutted elderly laptops for the recycle pile and 1x mac mini with an upgraded 2GB of RAM and an upgraded 120GB SSD, running Lubuntu 18.04. The SSD and the memory both came from the MacBook1,1 and worked flawlessly. The slightly faster memory in the MacBookPro2,1 gave the Mini indigestion such that it could only recognise one of the 2GB. 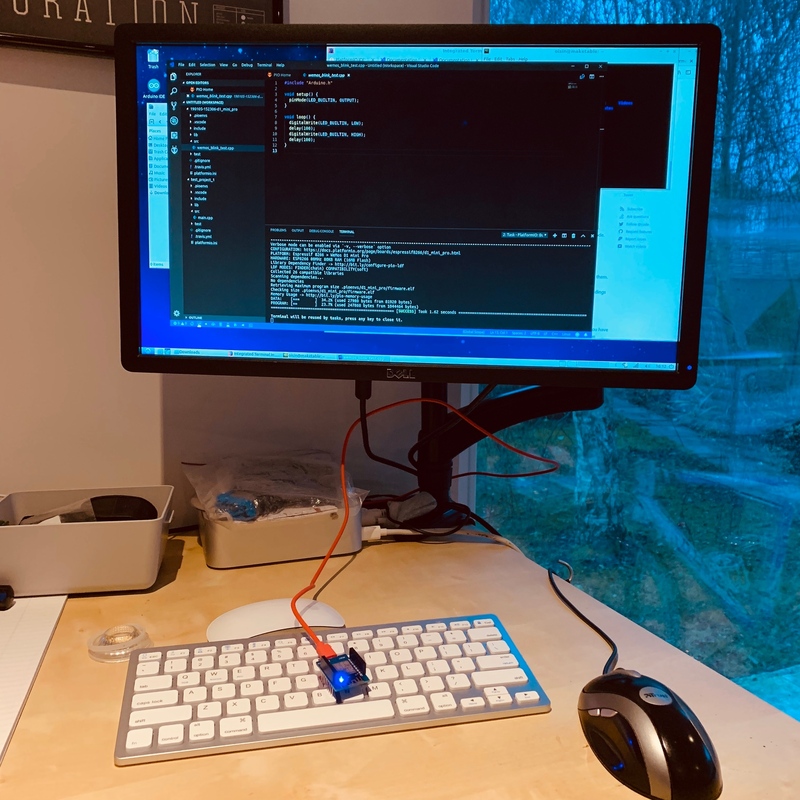 A top tip from @denishennessy got me to ditch the Arduino IDE and instead download the PlatformIO IDE, which extends Microsoft’s Visual Studio Code. This runs fine on the (relatively) low end compute of the Mac Mini. Well! That’s enough success for one week. Now I shall briefly retire to inventory my unused microprocessor heap.